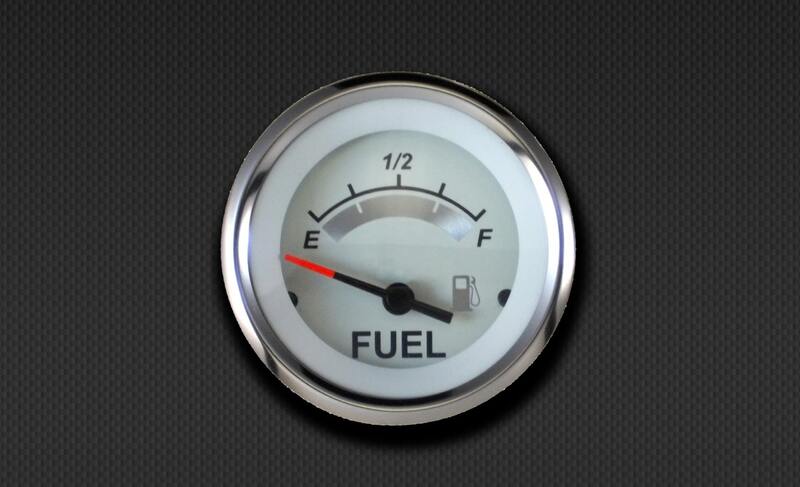 Also included in the kit are the necessary senders and fuel level arm float. LCD display includes alpha heading (N, S, E, W, NW, Etc), total odometer reading and two settable trip odometers. 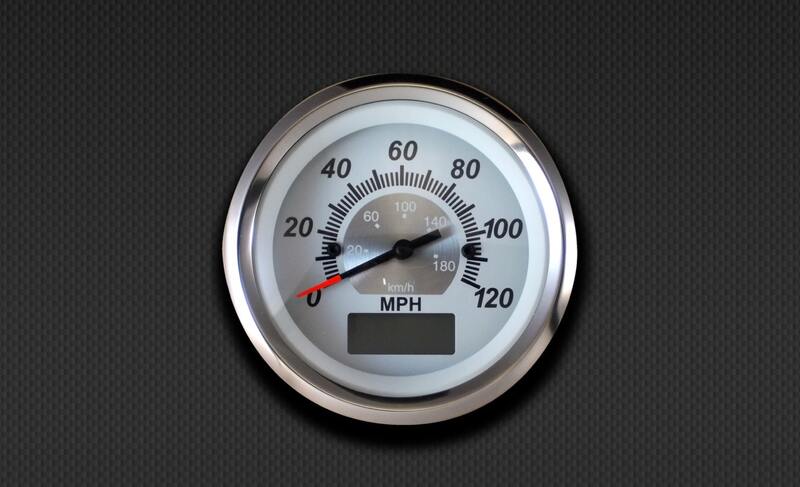 The speedo has a speed accuracy of =/-1 MPH, updating 10 times per second. 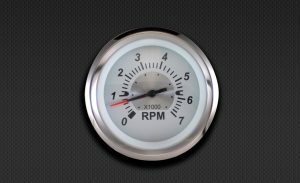 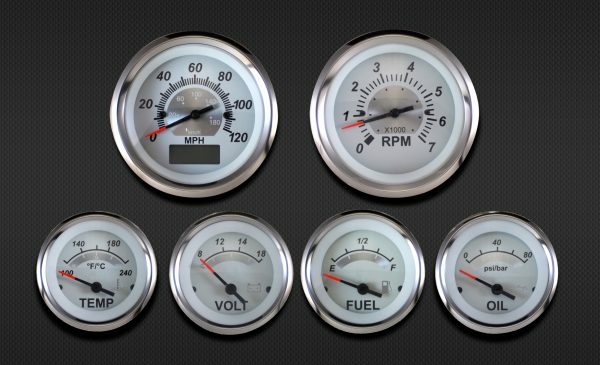 Once installed, the gauges are ready to go with no speedometer calibration needed, no need to change any drivetrain or tire size settings. The speed is derived from the GPS module included in the kit.